While previously available at only one NetEnt Casino, Fantasini: Master of Mystery Touch® was re-released in February 2016. 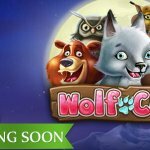 This simply means both the desktop version and mobile version of Fantasini: Master of Mystery™ lost its exclusivity and, therefore, is now available for all players at all NetEnt Casinos and mobile casinos. 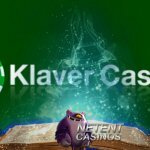 Good news, because Fantasini: Master of Mystery Touch® brings another magic-themed video slot to the NetEnt Casinos in which the biggest trick involves a magical chain that can make or break your gaming experience. Fantasini: Master of Mystery Touch® is a video slot stripped of bet lines and replaced with an impressive 243 Ways to Win. It is because of this feature that every combination made from left to right is a winning one as long as the combination can be found back on the paytable. This type of gameplay always makes sure a lot of action is going on and when combined with a slot feature such as Linked Reels you can be sure Fantasini: Master of Mystery Touch® is going to keep you captivated with every single spin. With a minimum bet of 0.25 and a maximum bet of 125.00 Fantasini: Master of Mystery Touch® will attract a large group of players, especially those players who enjoyed the Linked Reels feature as seen before in Twin Spin Touch®. This slot feature will bring magic to the five reels while the mobile slot theme takes you all the way back to the 19th century. During every single spin, you will ask yourself the question “Will the chain break or not?”. 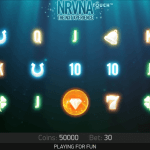 The only way to find out is to play this mobile slot game at one of the many mobile platforms linked to the tens of NetEnt Casinos that can be found on NetentCasinos.com. 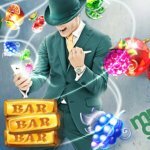 No mobile slot will intrigue its players without a bunch of attractive slot features and Fantasini: Master of Mystery Touch® is no exception. That’s why NetEnt revived the Linked Reels feature after it was used for the first time in Twin Spin Touch®. This time, though, this slot feature has been combined with an attractive 243 Ways to Win and a Wild feature. Let’s start with the best part this time, the Linked Reels feature, which isn’t new to those who have played Twin Spin Touch® which was launched years ago already. 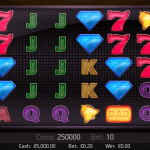 It’s good to see the Linked Reels back while it’s a good thing as well that all players at all NetEnt Casinos are able to enjoy this slot feature in Fantasini: Master of Mystery Touch®. Even though this slot feature works the same as in Twin Spin Touch®, NetEnt did do an upgrade adding a golden chain to the feature for even more excitement. Every single spin starts with at least two identical, adjacent reels that are linked together, framed with a magical chain. During the spin, the chain can break resulting in the Linked Reels to become triplet, quadruplet or even quintuplet reels. The thrill of the Linked Reels feature will increase as the reels spin and if the chain is going to break, well please get ready for some real magic. Before I am going to leave you with the decision to play or not to play Fantasini: Master of Mystery Touch®, I can’t forget to mention the Wild substitution available in this NetEnt mobile slot it will be, as always, responsible for a lot of extra winning combinations. That’s why it’s good to look out for these Wilds which can appear everywhere on the reels 2, 3, 4, and 5. If one or more Wilds appear on the reels, they will have an important job to fulfil as they will substitute for any other symbol. 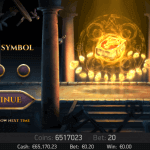 Together with the 243 Ways to Win and the Linked Reels slot feature, I’m sure magic is about to happen while you the extra excitement caused by the music and mysterious theme.